Edmund Gregory Hinkson is a Barbadian politician and a current Cabinet Minister. Edmund Gregory Hinkson was educated at then New Pine Primary School, Harrison College, Cave Hill Campus of the University of the West Indies earning a Bachelor’s of Laws degree with Honours, a Certificate in Legal Education and a Master’s in Business Law. Added to these were many years of community service through the Lions Club, St. John Ambulance Association, National Crime Prevention Panel, Advisory Board of the Salvation Army, and service to the disabled community. The attorney-at-law gained governmental experience as Chairman of the National Conservation Commission and the Severance Payments Tribunal; Deputy Chairman of the National Housing Corporation. National Advisory Committee on Disabilities and the Building Advisory Committee; a Director of the National Cultural Foundation; and Member of Consumer Claims Tribunal, Income Tax Appeal Board and the Harrison College Board of Management. 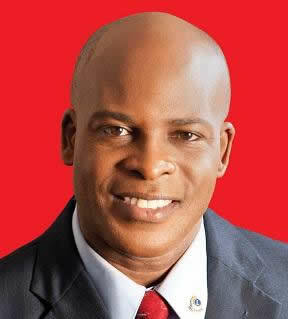 Edmund was elected to the Barbados House of Assembly in the 21 February 2013 General Election. Hinkson retained his seat in the 24 May 2018 election and was appointed Minister of Home Affairs in the Mia Mottley Adminsitration. Hinkson is married to businesswoman Beverly and they are the parents of Erica and Gregory. His non-work interests are playing lawn and table tennis and listening to jazz.